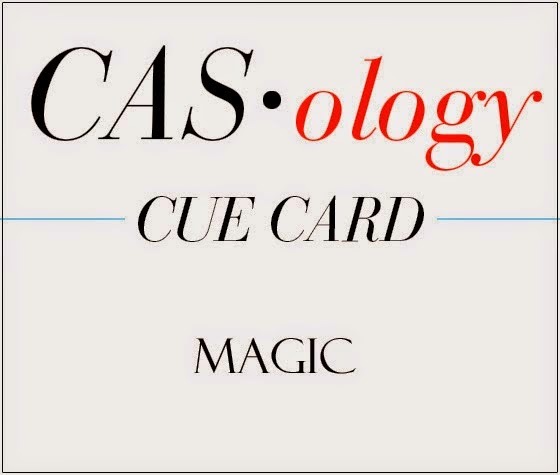 Happy Tuesday and it's time for this week's new CASology Cue Card! How about a little black magic, maybe not ready for Halloween just yet but these Reverse Confetti Halloween stamps are perfect for the cue. The ground the smaller image and sentiment I created an open frame for the images. I am also adding this to the current Simon Says Wednesday Challenge, Make It Sparkle. My sparkle is the green bubbling 'Wink of Stella" enhanced witches' brew in the cauldron! LOve it, Tracey. Especially that purple border! Oh this is so cute for the cue ... magic!!!! what a fun card.. love that witches pot..
Oh, very fun magic indeed. Reminds me of when we did the play Macbeth, and I got to be a witch. Love your sparkly green magic. Does this mean fall is coming? I can make Christmas cards all year, but once I see a Halloween card, I know the end of summer is near! Love the colours and the frame! Oooh, love your take on the cue card! So awesome! Beautifully CAS card Tracey - absolutely perfect. Thanks for playing along with Simon Says Stamp Wednesday Challenge. I totally have to go halloween too!!! I do, BOO, LOVE THIS!!! Ohhhhhhhhhhh ... this is AWESOME!!!!! Tracey, I love this fun, bewitching Halloween card...so perfect for the cue this week! I hate to say it but Halloween isn't that far off...this summers flying by! Fun take on the cue word! 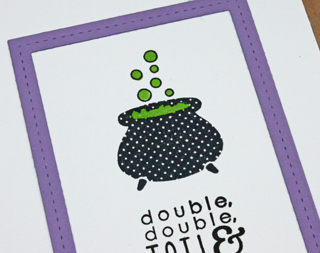 Your polka dot cauldron is adorable and I love the purple frame! 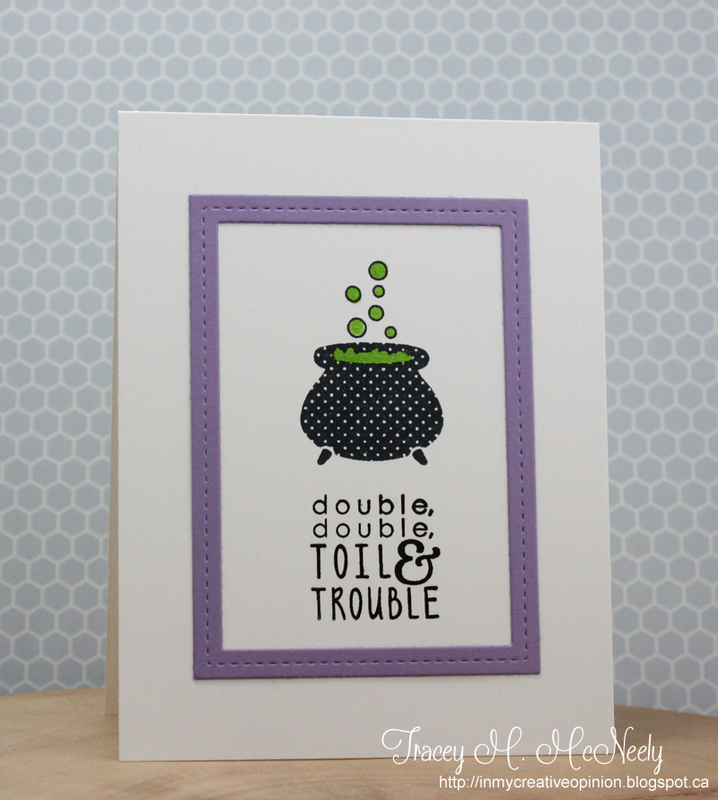 I really love how you framed out your polka dot cauldron and all the sparkle you added to this card, Tracey! So fun, and perfectly magical! 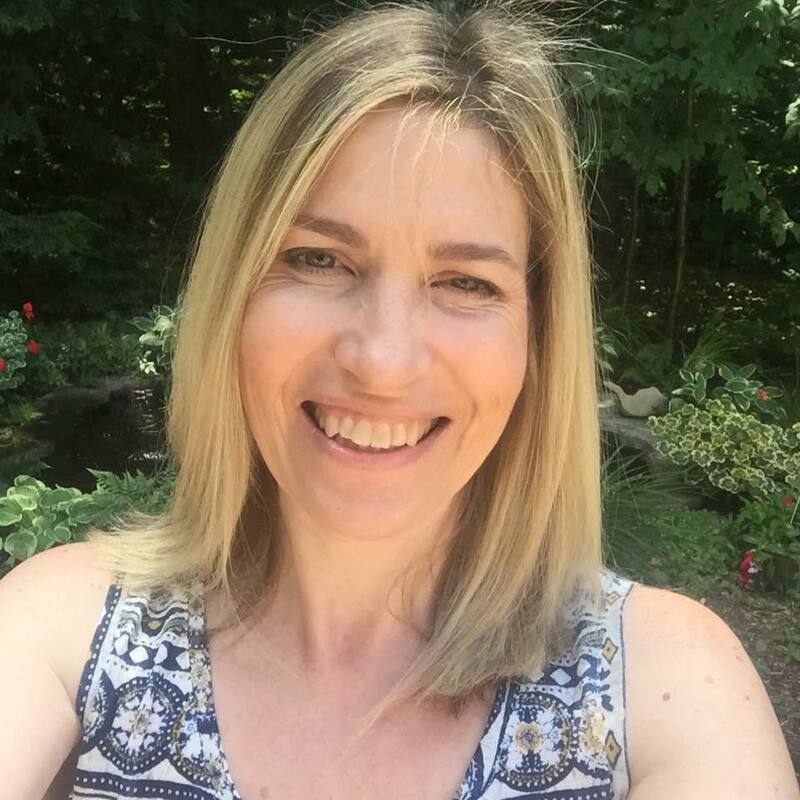 Thank you so much for visiting and leaving a comment over at the a2z Blog! It was so sweet of you! Love it! The bubbles are perfect! Love those witchy witch colours!! That purple and sparkly green really rocks! Top Dog Dies - Ooh La La!